There is something extra special about a childhood favorite, don't you think? My family didn't own a lot of books when I was a kid. We didn't take weekly trips to the library. I can't remember a single excursion to a book store. 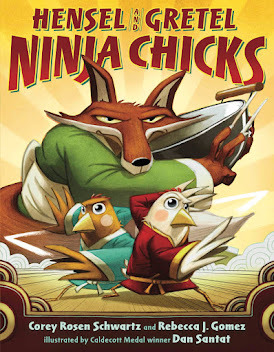 When book orders came around, I almost always ordered a poster because that was all we could afford, and because I didn't want to be the only kid in class going home empty handed. And yet, I remember books being a part of my life. I remember my mother reading to me, and talking about her favorite stories. I remember studying her copy of THE DRAGON RIDERS OF PERN with fascination. I remember the school library and book fairs. I was a regular at the school library, of course. And over the years I somehow managed to collect a small assortment of my very own books. But one of the best book-related memories of my childhood was when I purchased a short novel at the book fair in 5th grade. What a proud moment that was! I still have that book, a now beat-up paperback titled A CABIN FACED WEST by Jean Fritz. Most of the books I have held onto well into adulthood have been in my memories rather than in my hands. Over the years I have sought a few of them out or stumbled upon them serendipitously at yard sales or used book stores. And a few, of course, are classics that I've happily purchased new to add to my family's collection. In honor of childhood favorites, I'd like to share a few of mine with you! THE CABIN FACED WEST, as I mentioned before, is the first book I remember purchasing for myself. I don't remember all the details of the story, but I do remember how it ended! BLITZ by Hetty Burlingame is one of many, many horse stories I read as a child. I may have been encouraged by my mother's love for THE BLACK STALLION. Who didn't love WHERE'S WALDO as a kid, right? But even better than that, in my opinion, is ANIMALIA by Graeme Base. 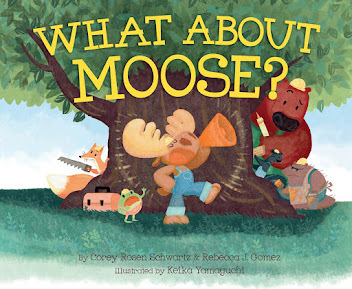 My family had a hardcover of this book, and I remember countless sessions with my siblings poring over the illustrations in search the little guy hiding on each page. WHERE'S WALDO I purchased at a used book store, but ANIMALIA I purchased new, though in paperback, when my kids were little because I couldn't bear for them to not have it in their lives! I can't tell you how much I loved these SERENDIPITY books when I was a kid. 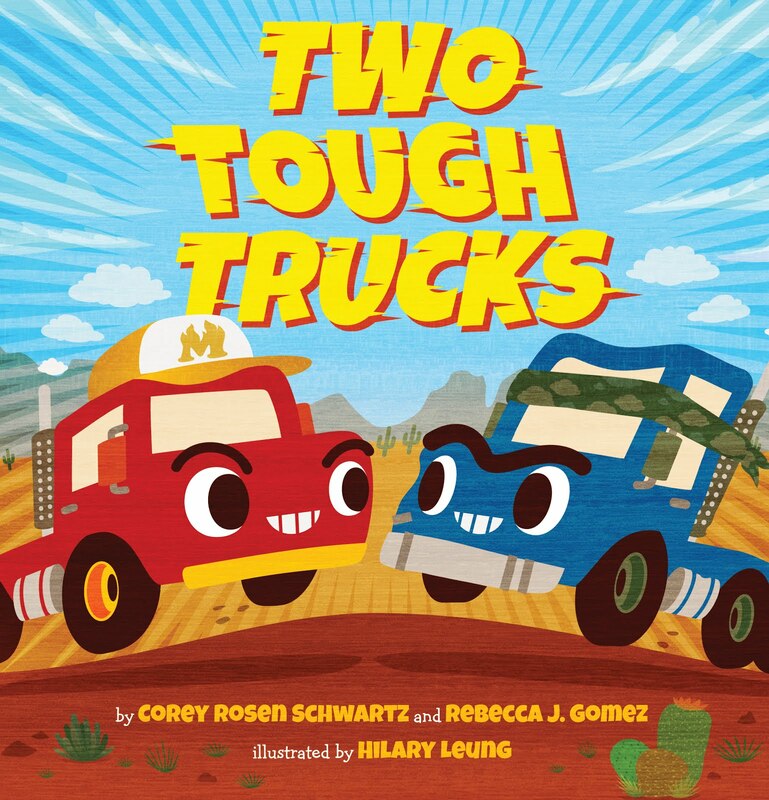 I enjoyed the stories, but I think what really captured my attention was the illustrations. The copies of KIYOMI and BANGALEE are mine from my childhood (poor Bangalee is missing his cover), but the others I have collected over the years, new and used. Is there a child in the U.S. that didn't grow up reading Dr. Seuss? HORTON HEARS A WHO was (and still is) one of my favorites, along with THE 500 HATS OF BARTHOLOMEW CUBBINS and IF I RAN THE CIRCUS. I have quite a collection of Dr. Seuss books now, but IF I RAN THE CIRCUS seems to be missing. One of the things I remember loving about Dr. Seuss as a kid, besides his impeccable rhymes, was the way he portrayed cities and towns in his illustrations. I always wanted to jump into the pages and explore! I've mentioned SANTA'S CRASH BANG CHRISTMAS before in this post from 2015. This copy is not the one I had as a child, but one I came across at a yard sale. It was one of those delightfully serendipitous finds! As much as I loved horse stories as a little girl (what little girl didn't back in the 80s? ), no chapter book or novel captured my imagination quite like A WALK IN WOLF WOOD by Mary Stewart. In this story, two kids wander into another time and aid a werewolf in breaking his curse. I first read this book in elementary school, and often looked for it in used book stores as an adult. And then one day my sister found a copy and got it for me! It still has its beautiful jacket and everything! 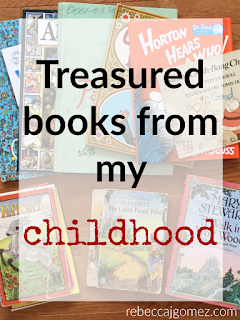 Last, but not least are two picture books I remember reading over and over as a child. 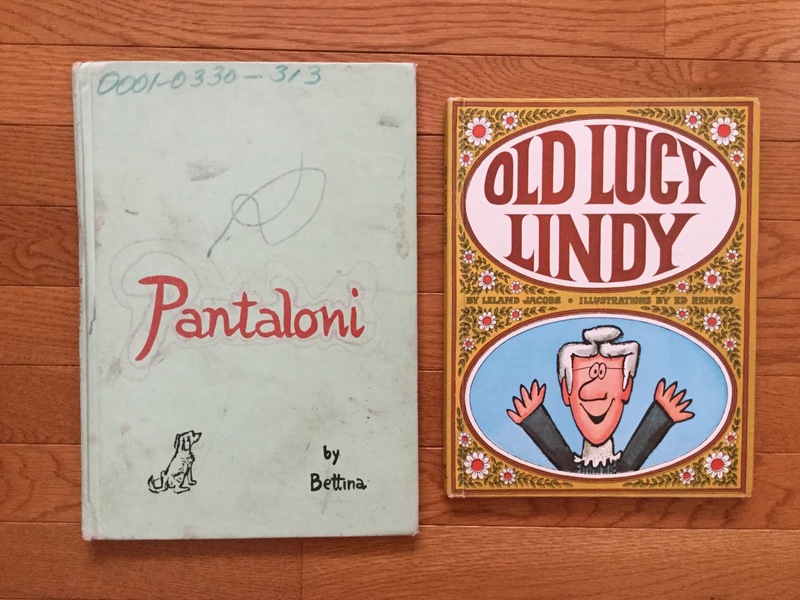 PANTALONI is a sweet story about a little boy and his puppy, and OLD LUCY LINDY is a collection of silly stories about an old woman. 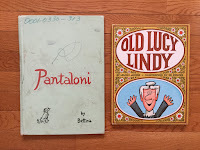 PANTALONI has stayed with me over the years, but I had to track down OLD LUCY LINDY through Amazon. Are you familiar with any of these lesser known books? 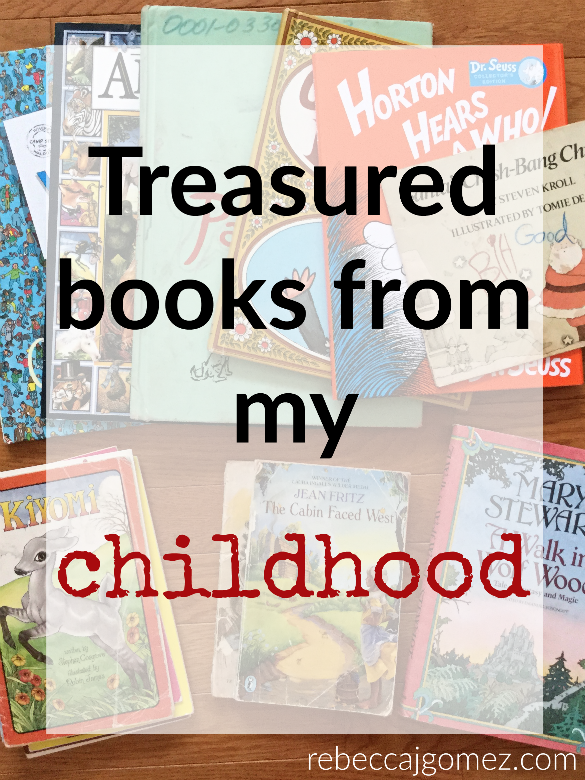 What are your favorite books from your childhood?